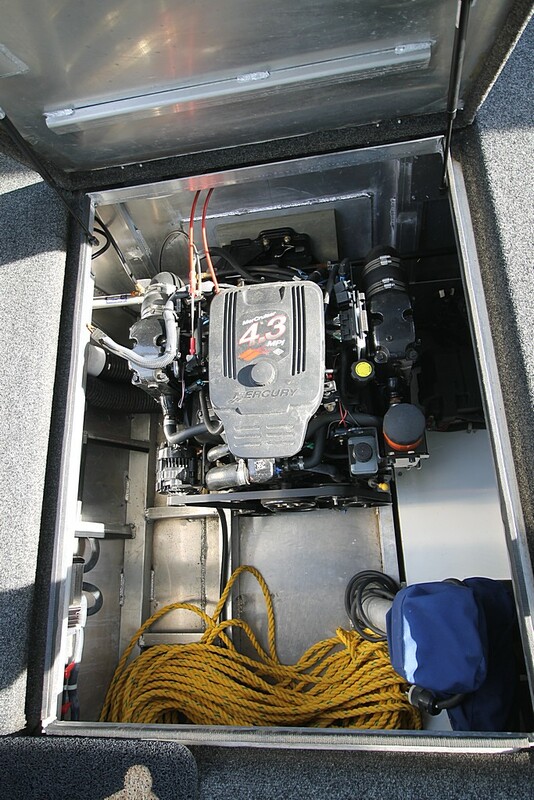 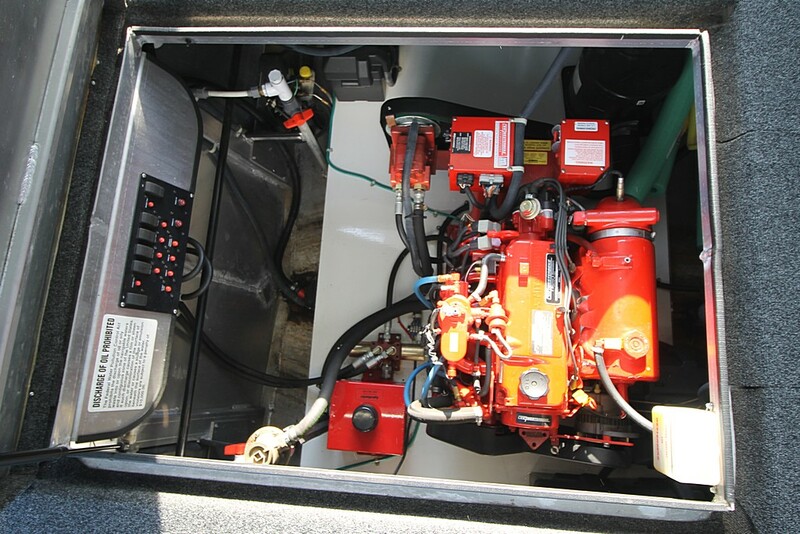 Twin Mercruiser 4.3 Liter Engines (Approximately 98 Hours), Safe Co 14 KW Generator, 3000 Watt Inverter w/8 Batteries, Stern Thruster. 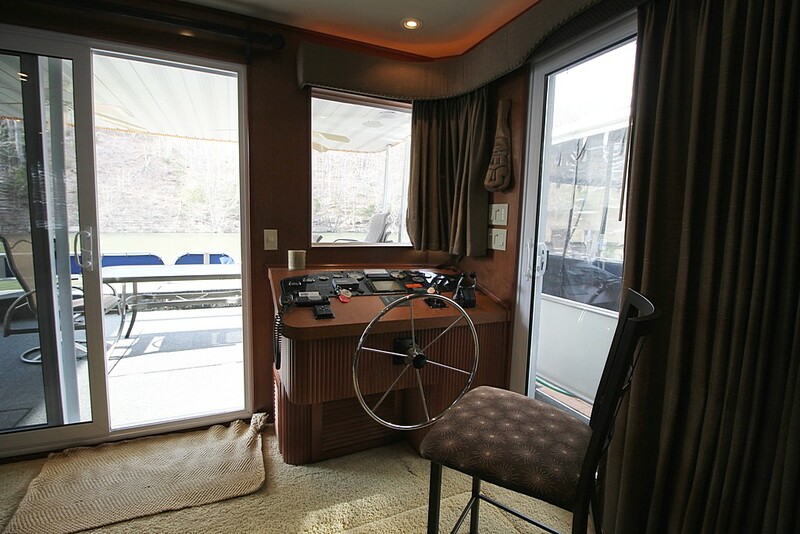 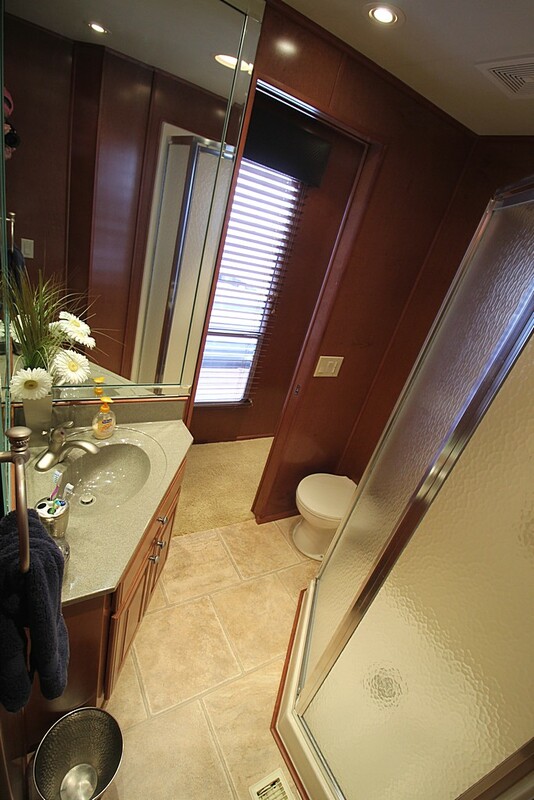 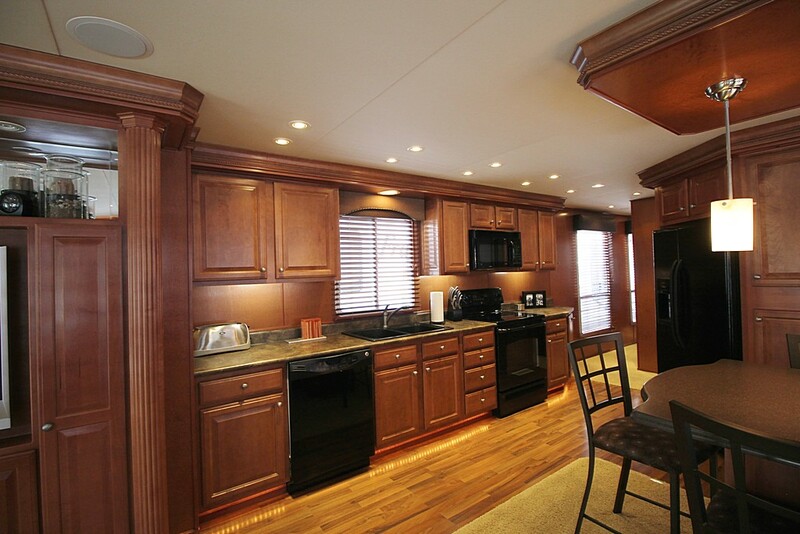 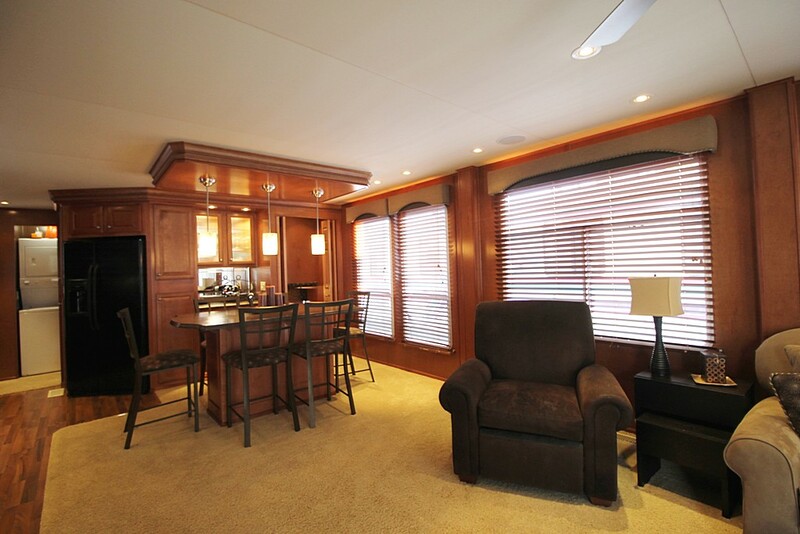 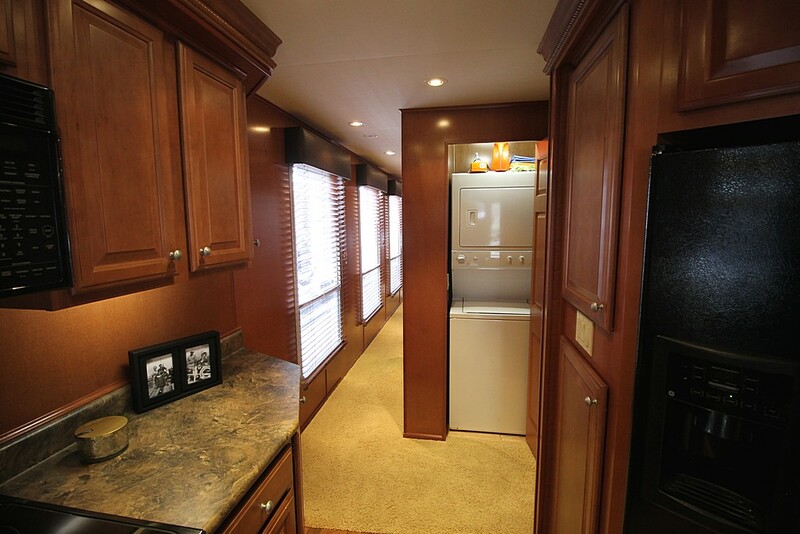 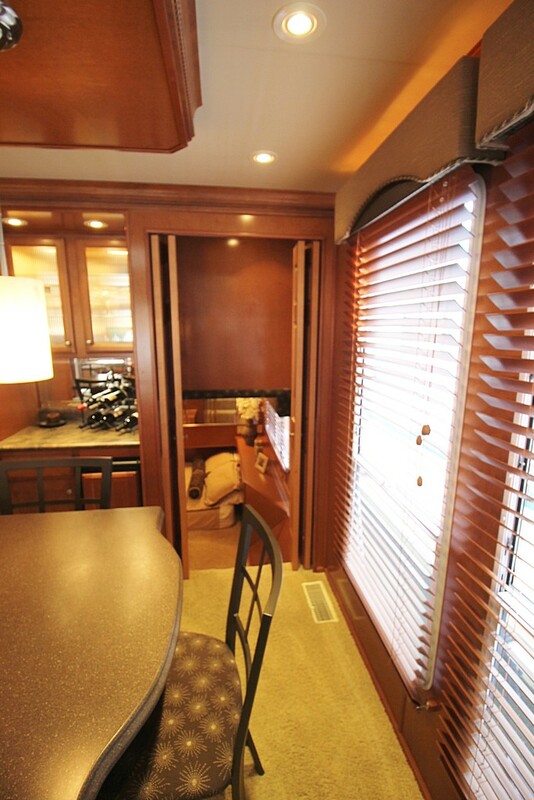 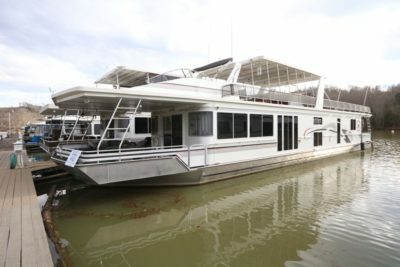 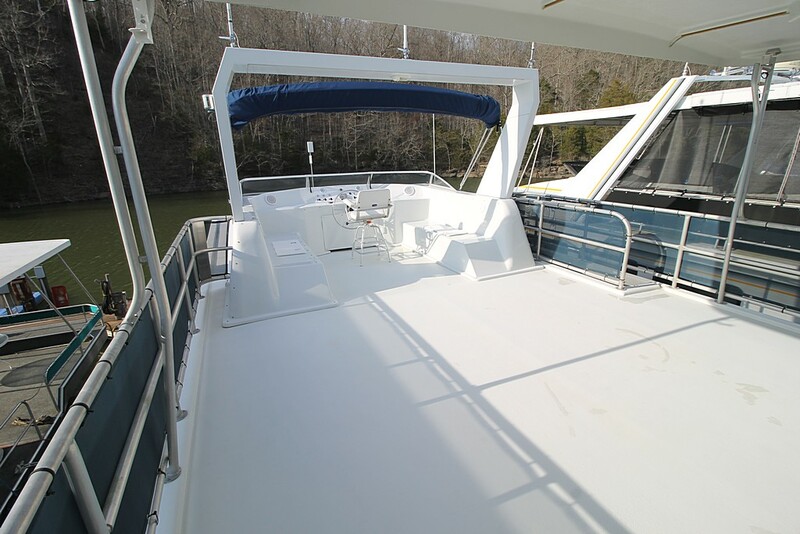 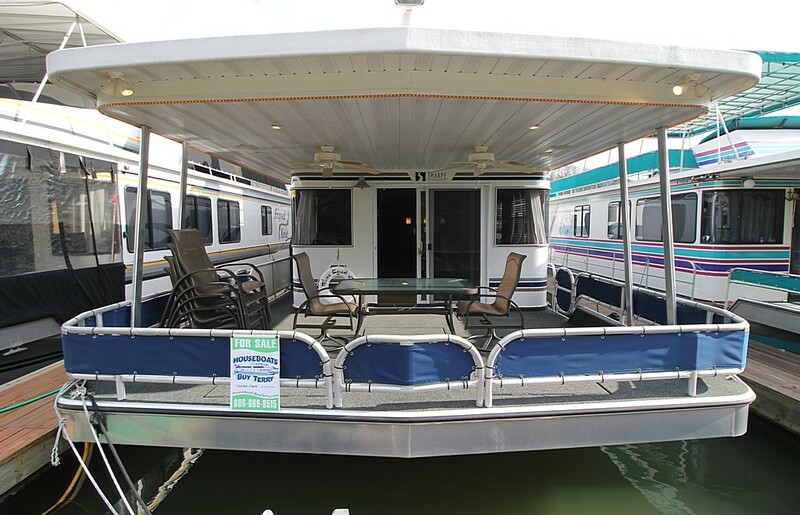 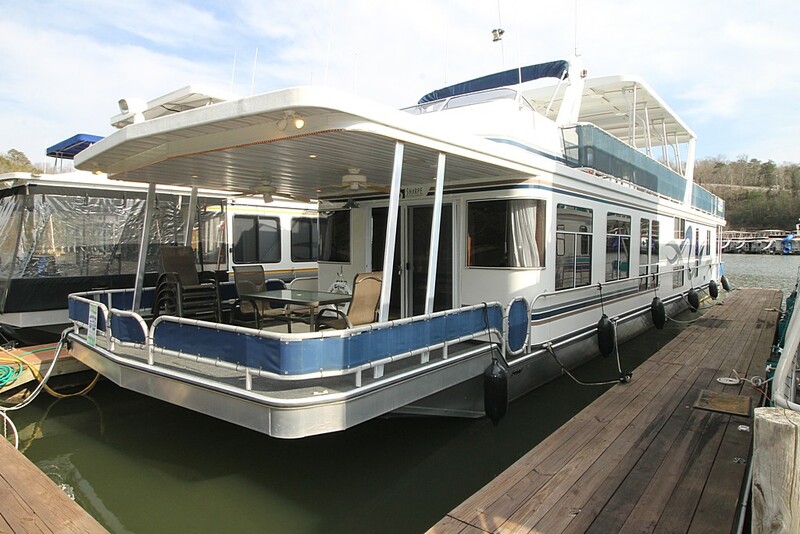 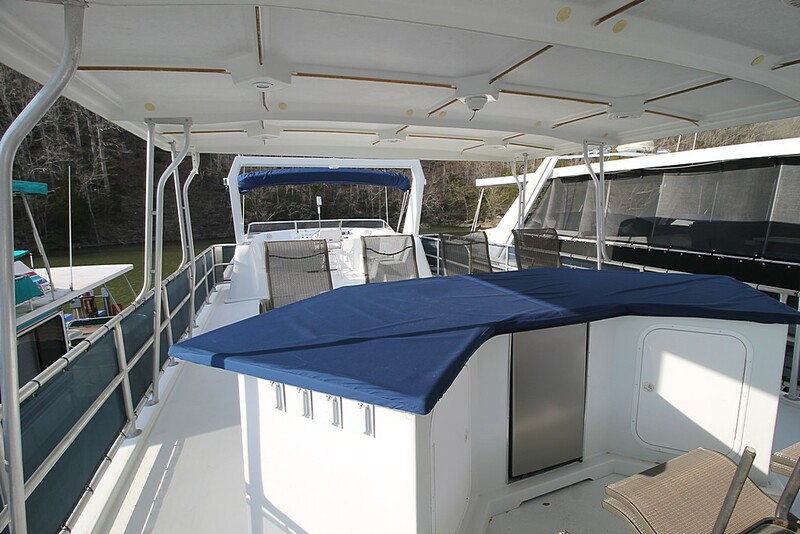 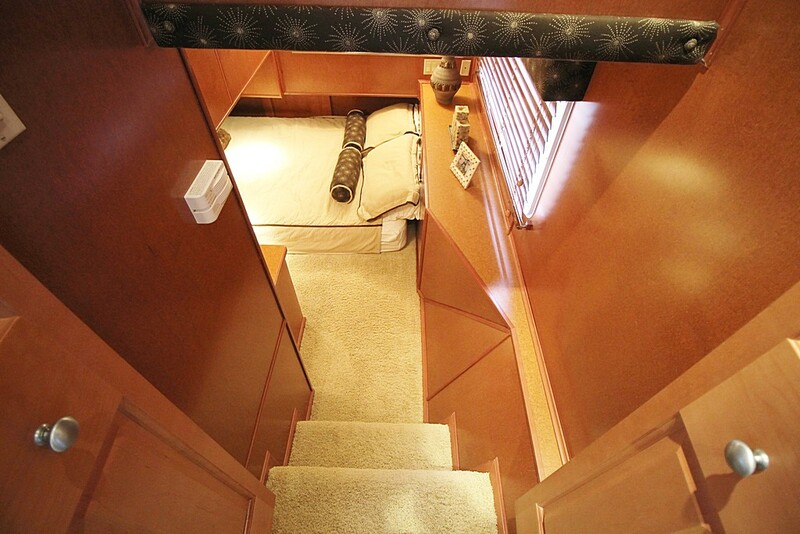 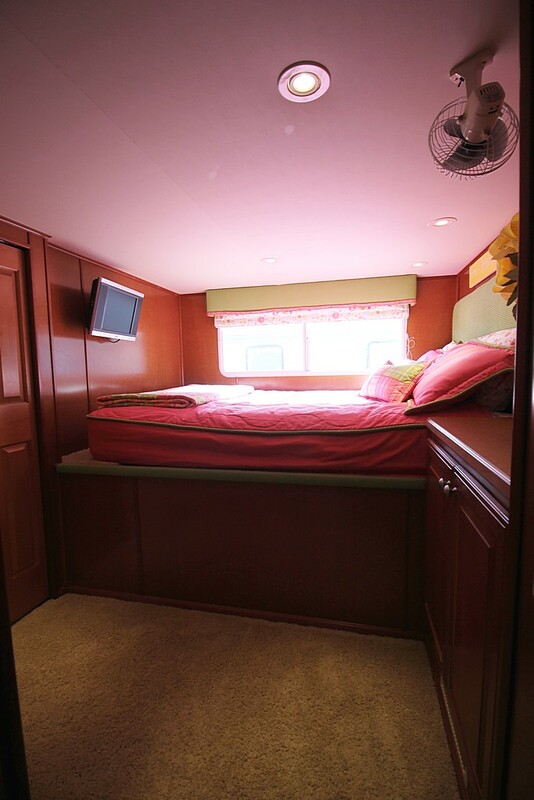 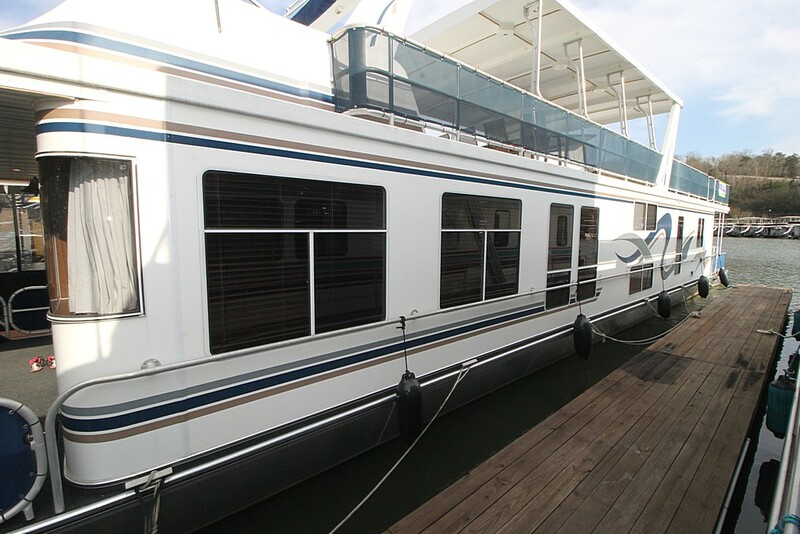 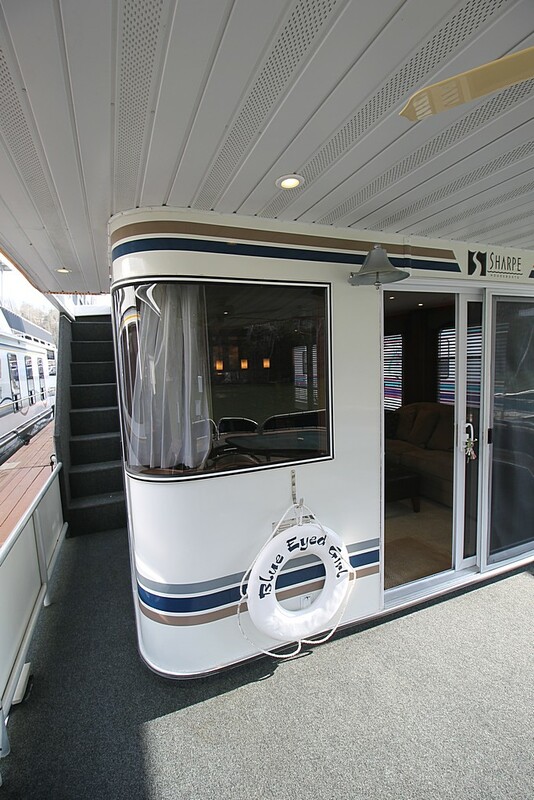 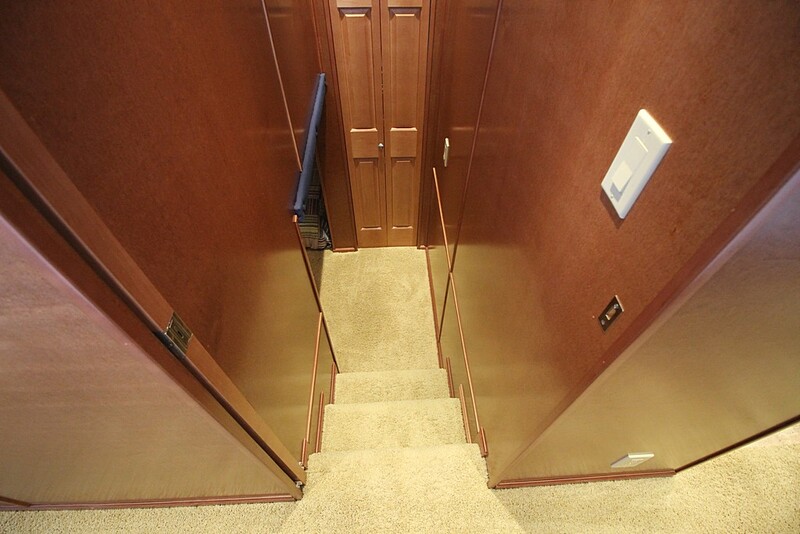 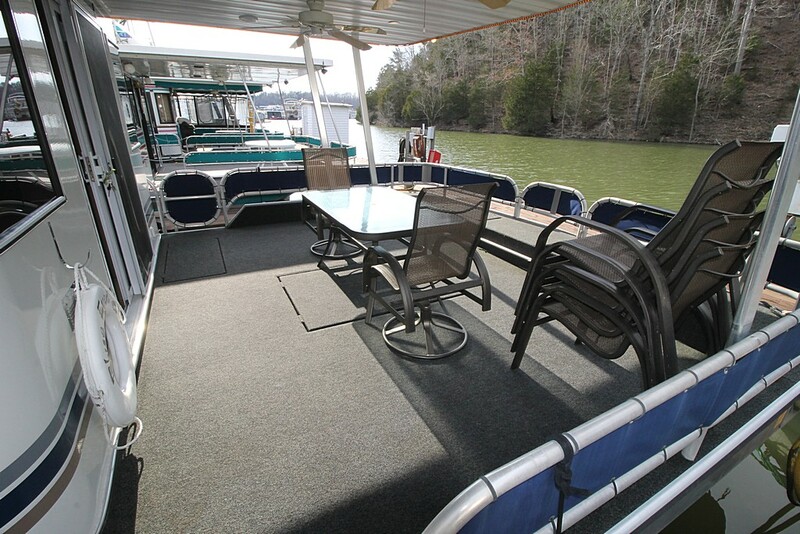 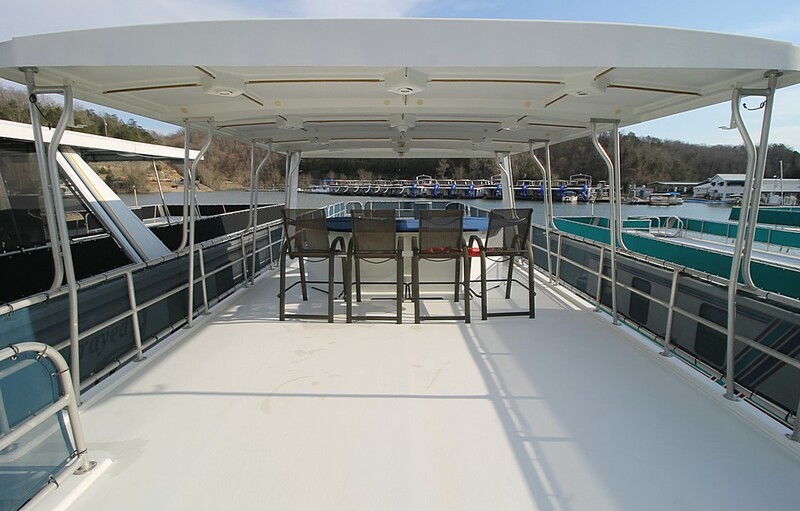 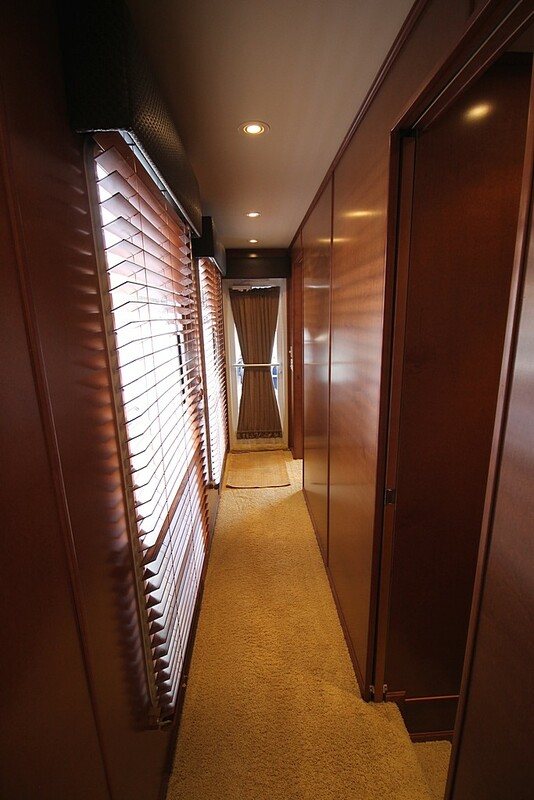 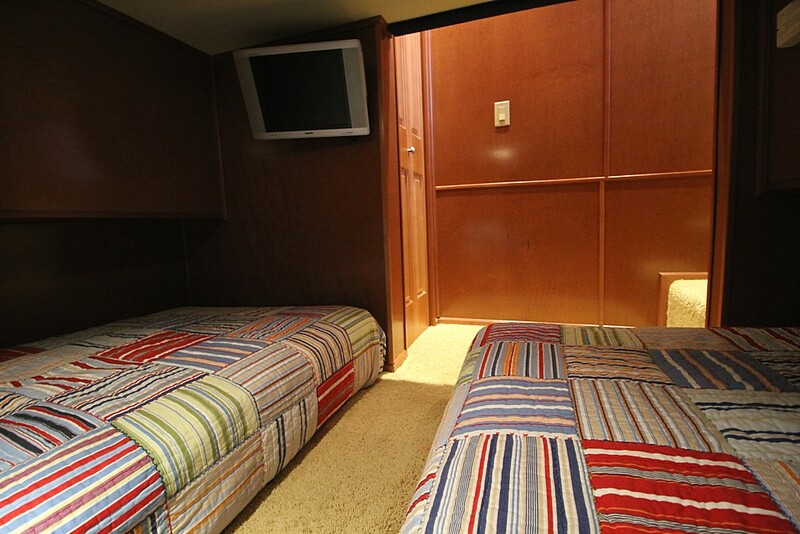 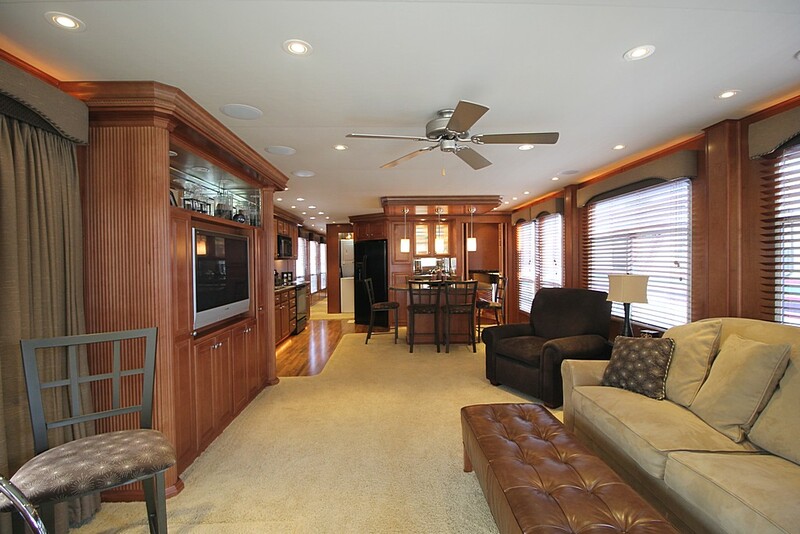 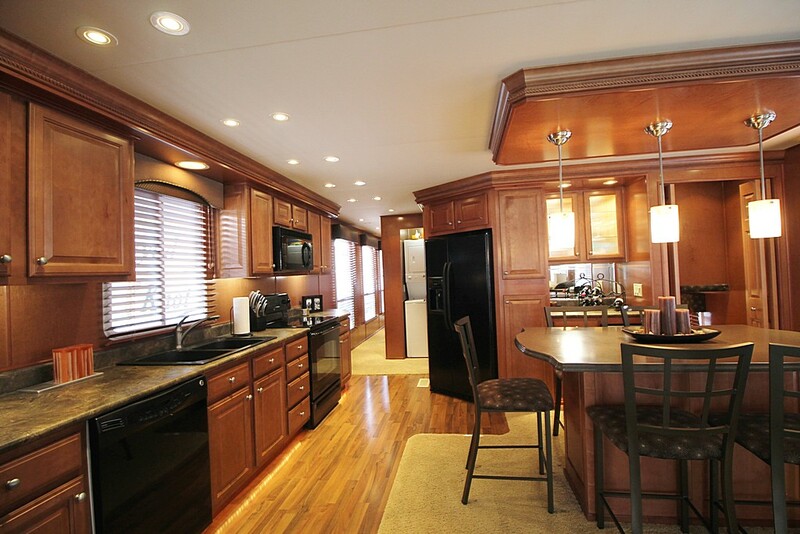 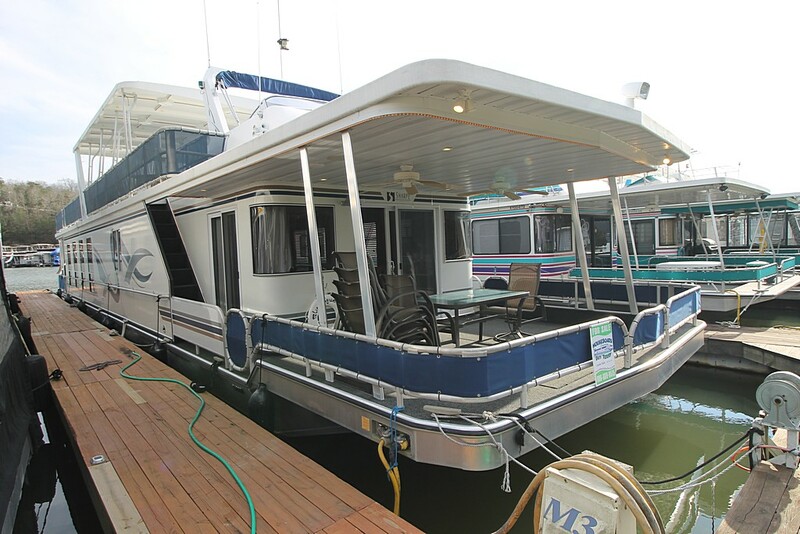 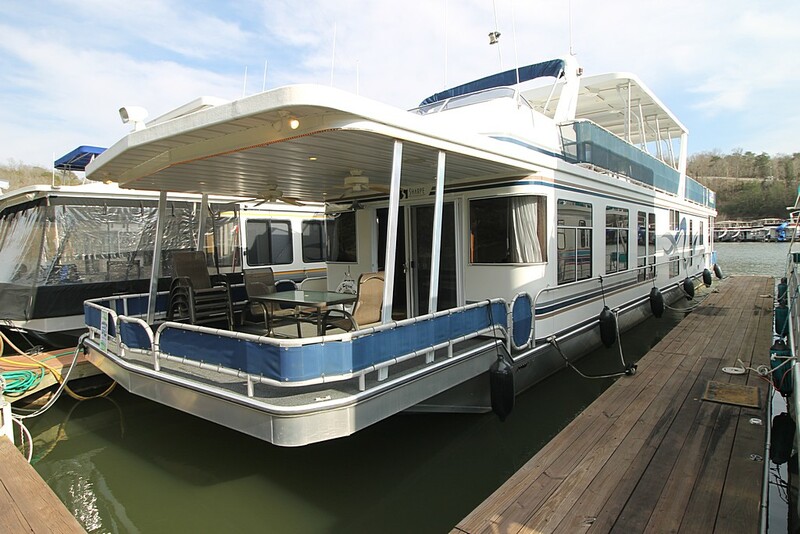 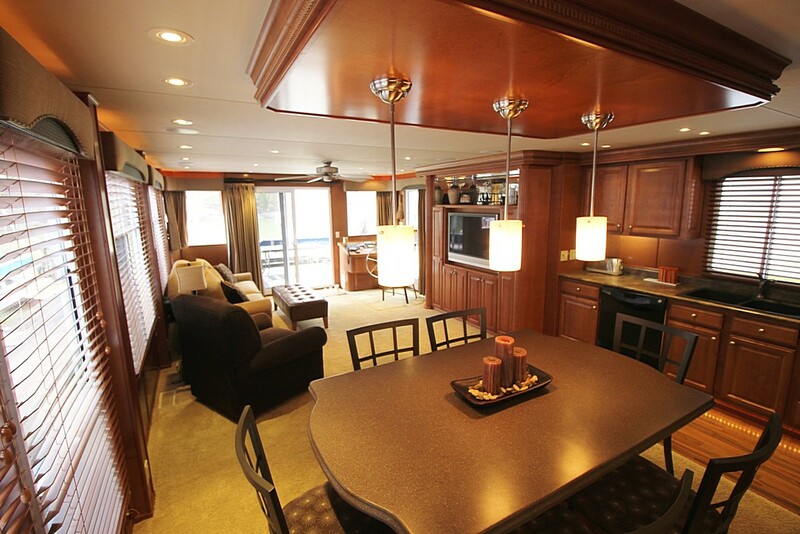 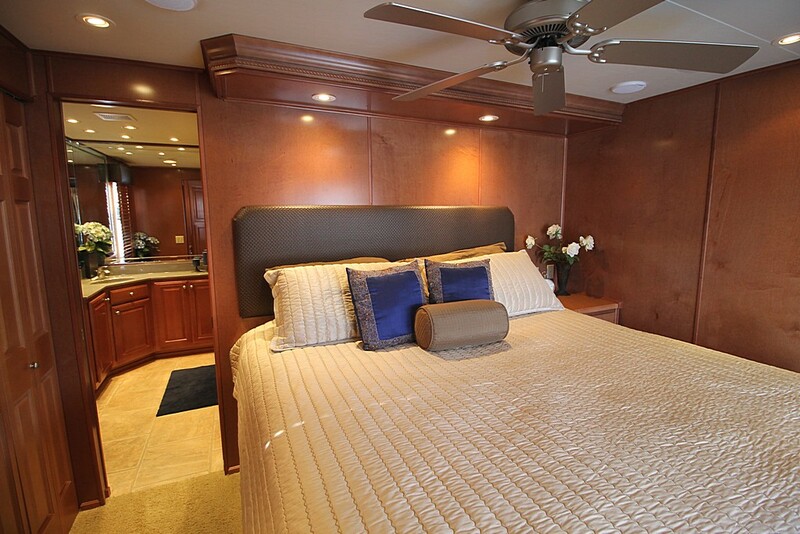 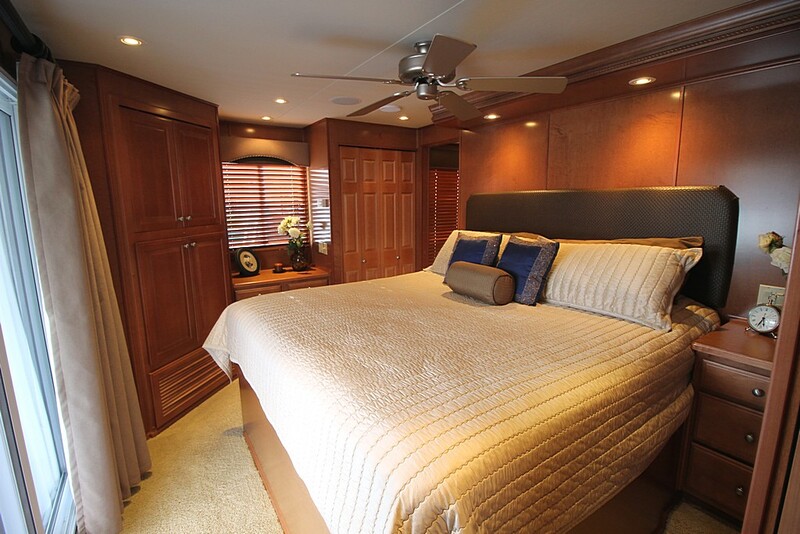 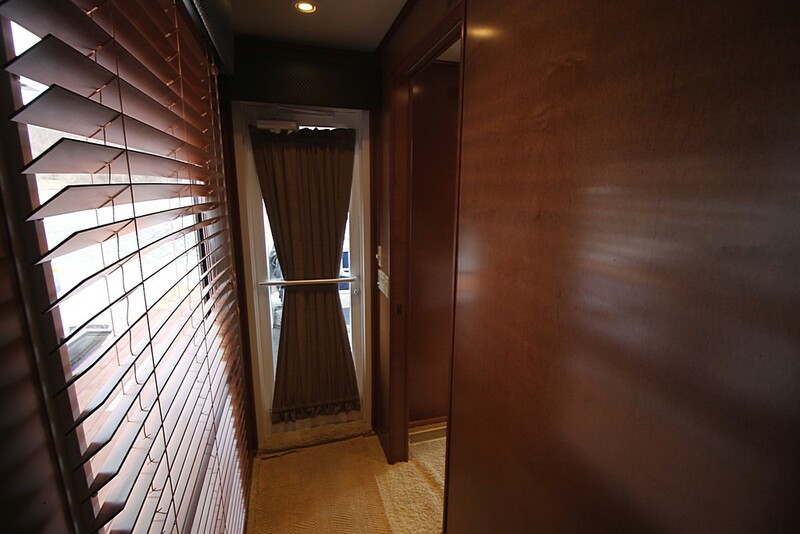 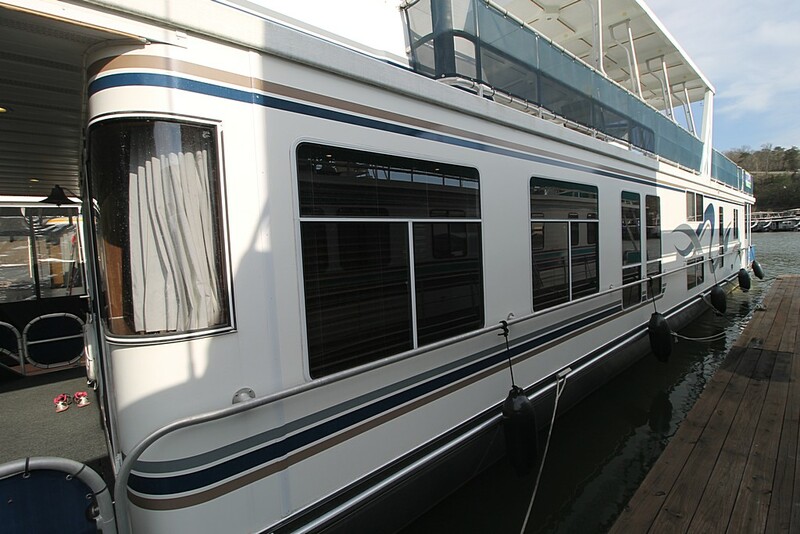 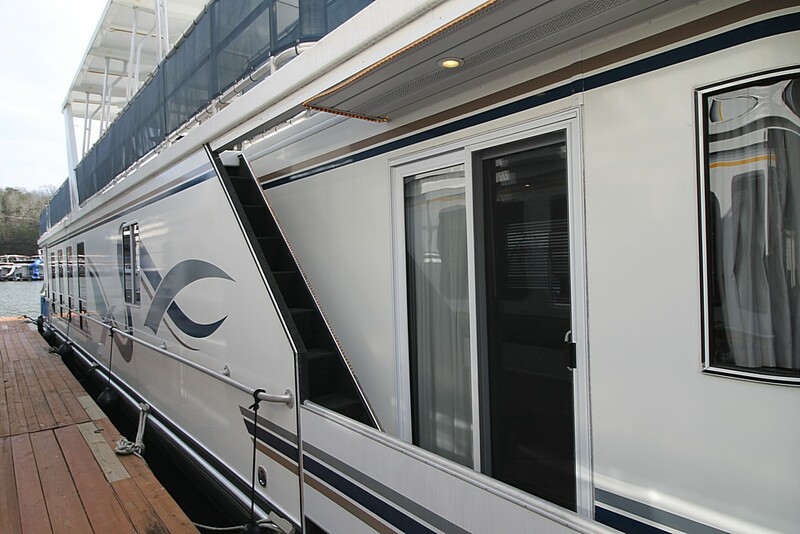 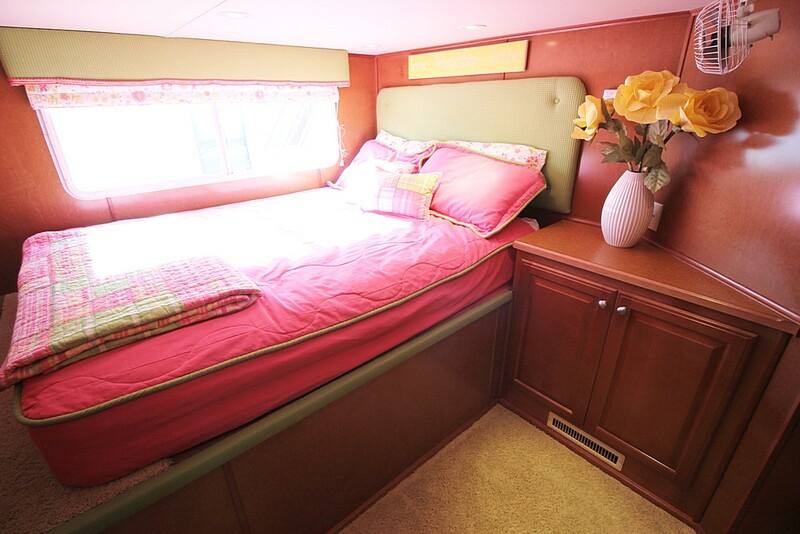 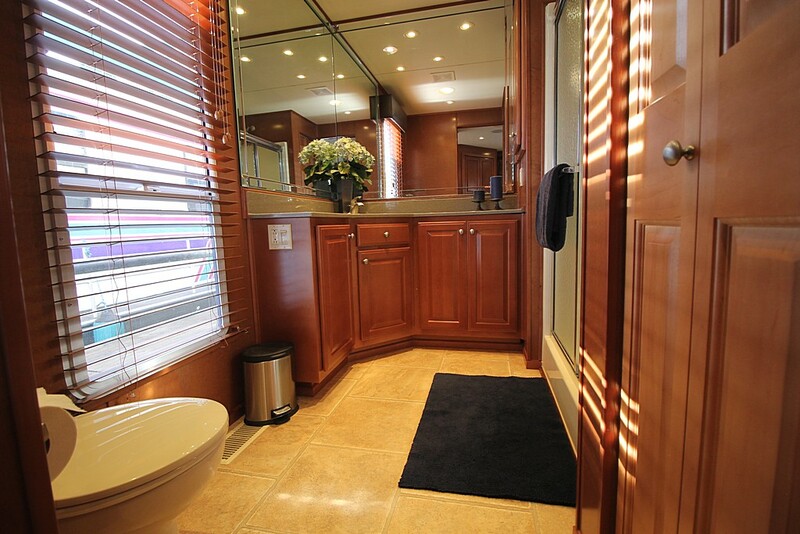 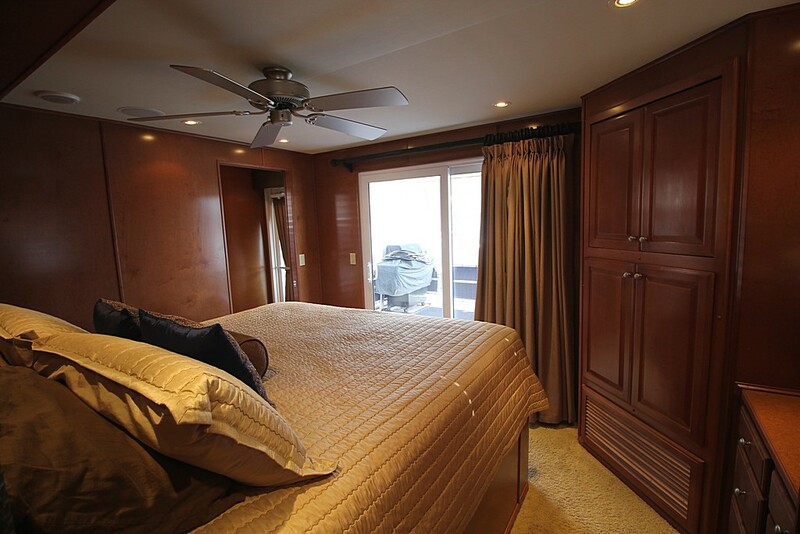 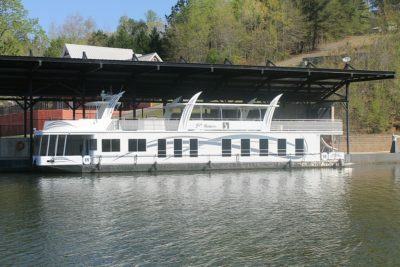 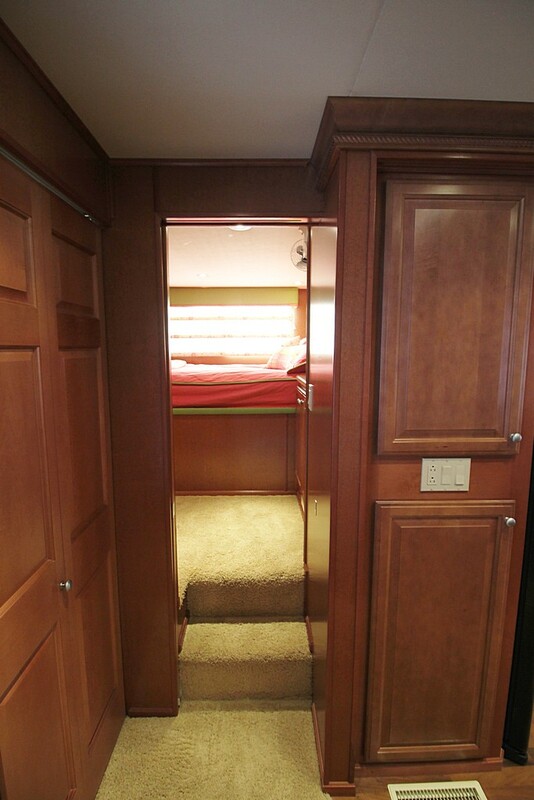 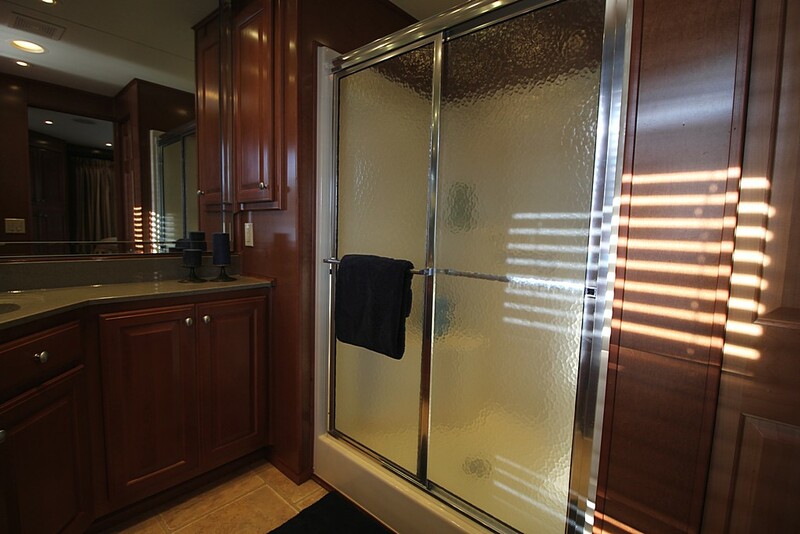 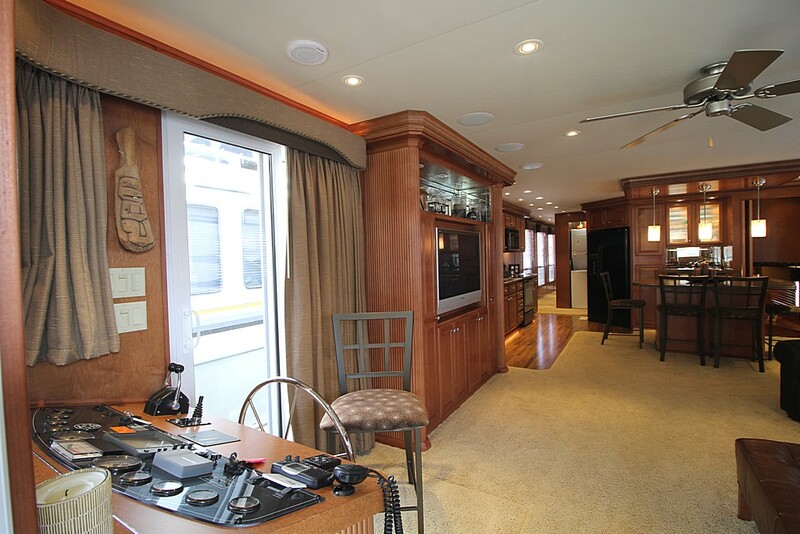 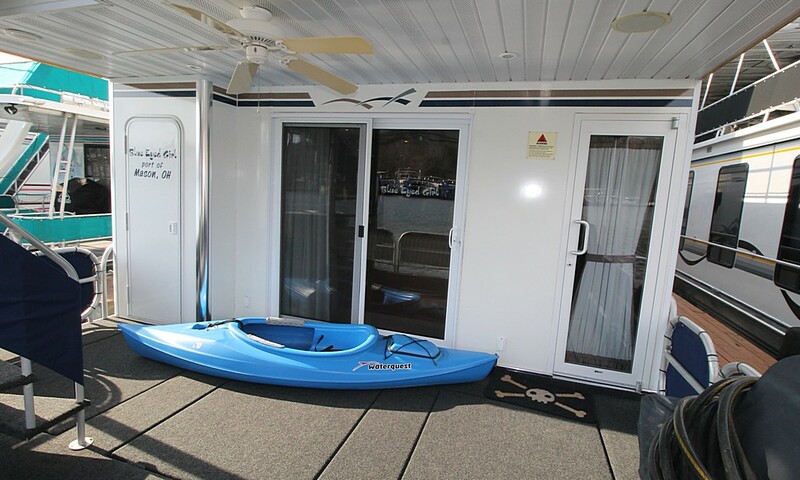 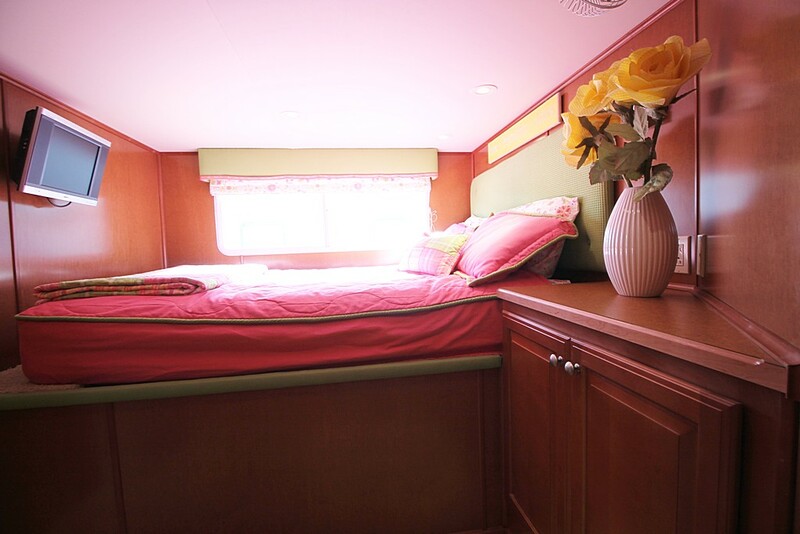 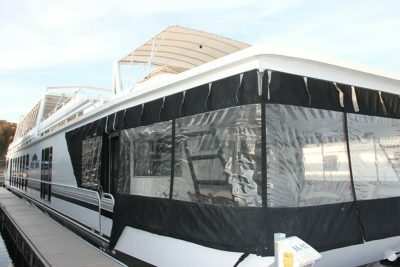 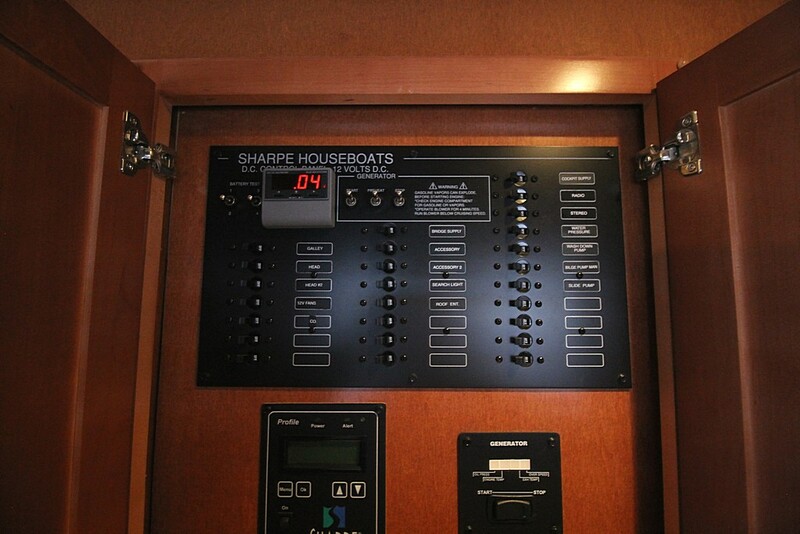 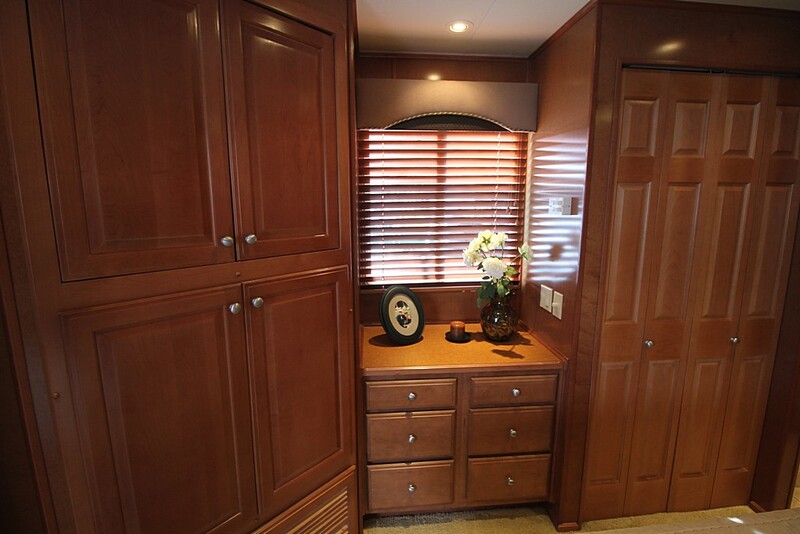 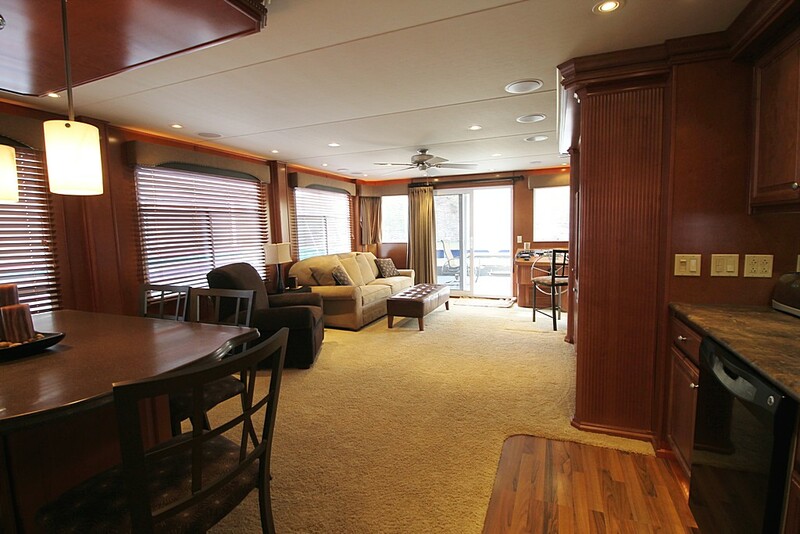 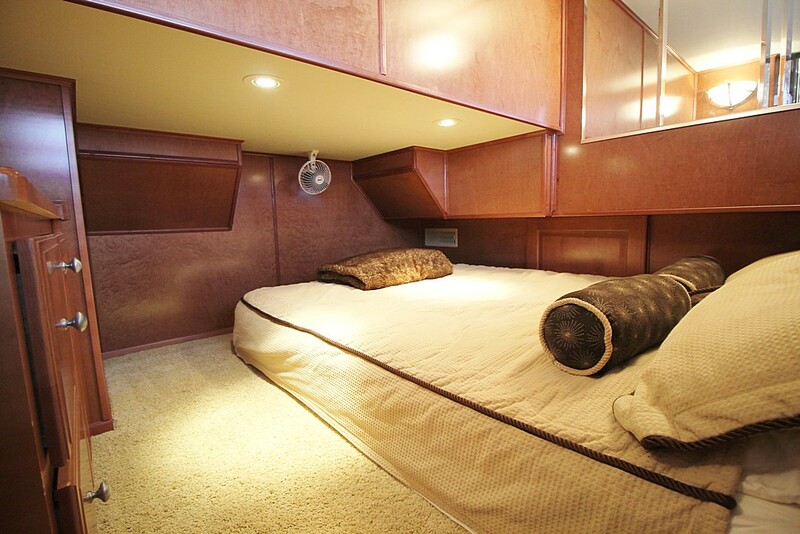 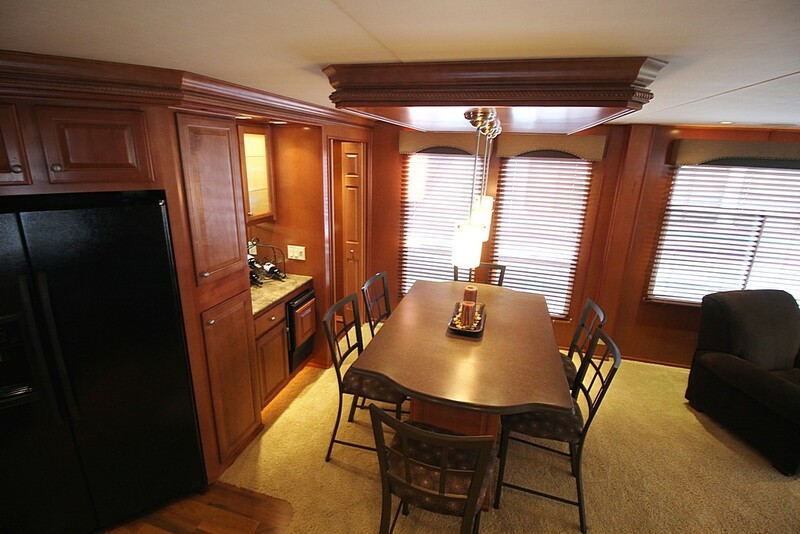 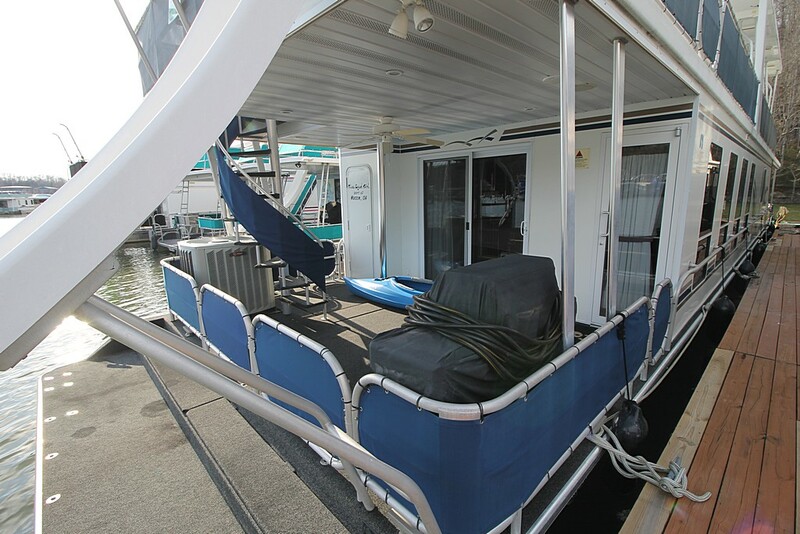 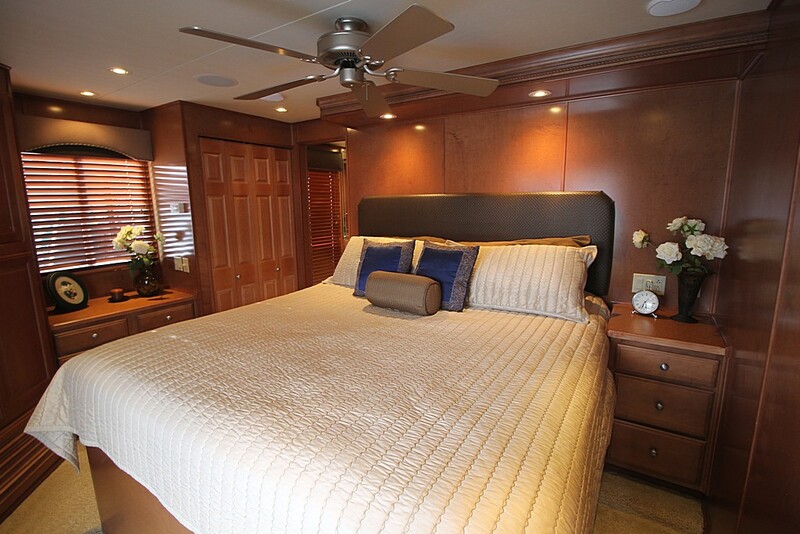 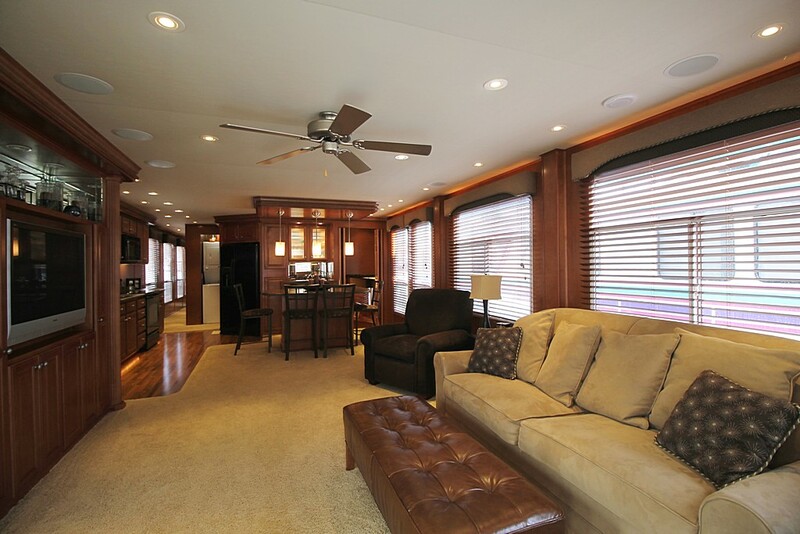 Flybridge w/Canvas Bimini, 24 x 16 Fiberglass Party Top, Roof Top Bar w/Refrigerator. 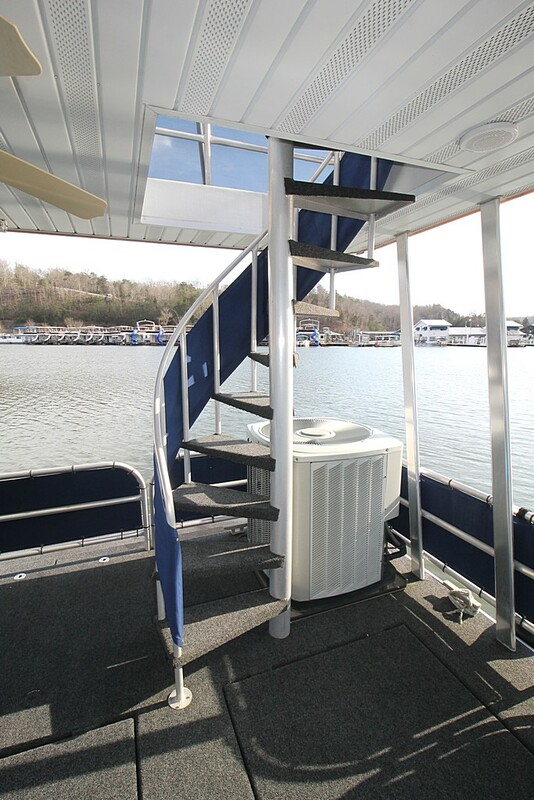 Radar Arch, Water Slide. 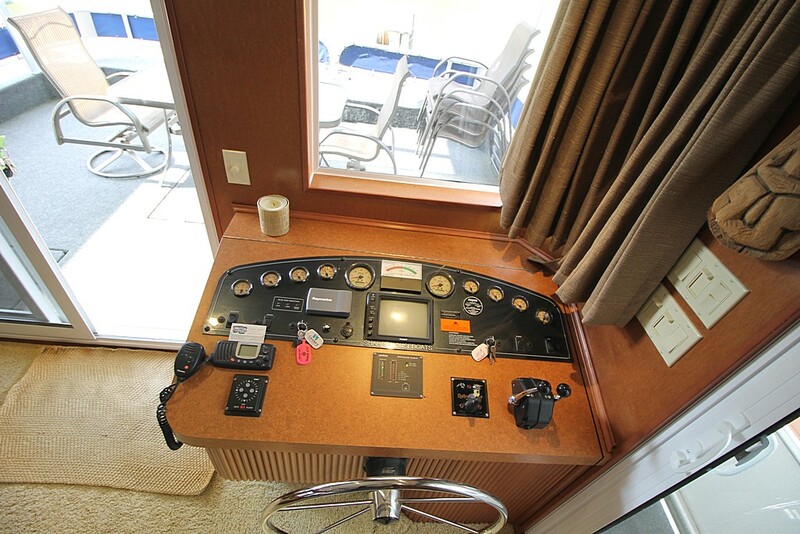 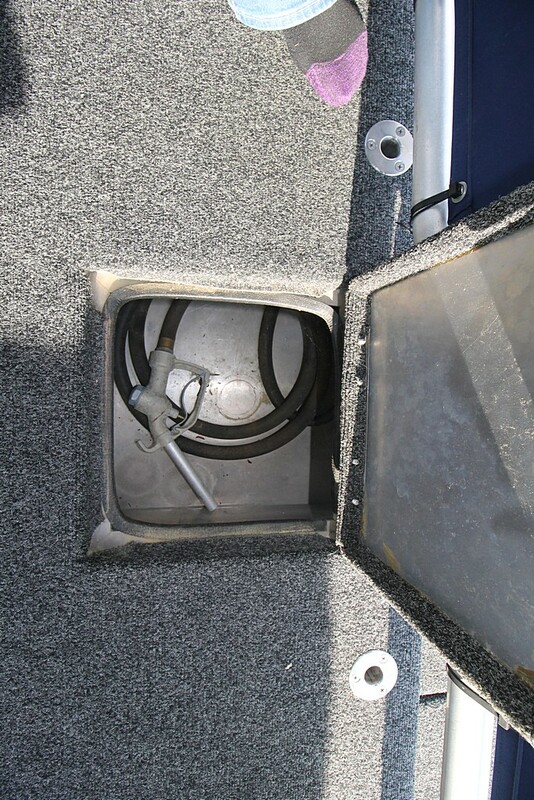 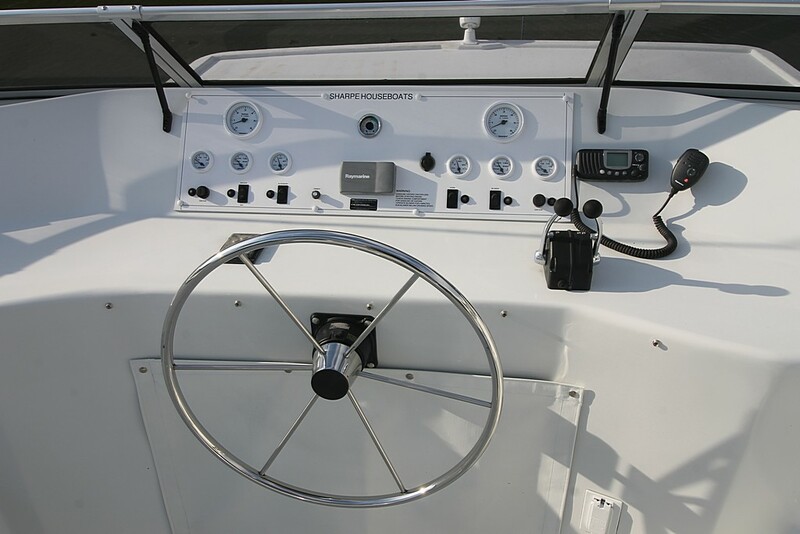 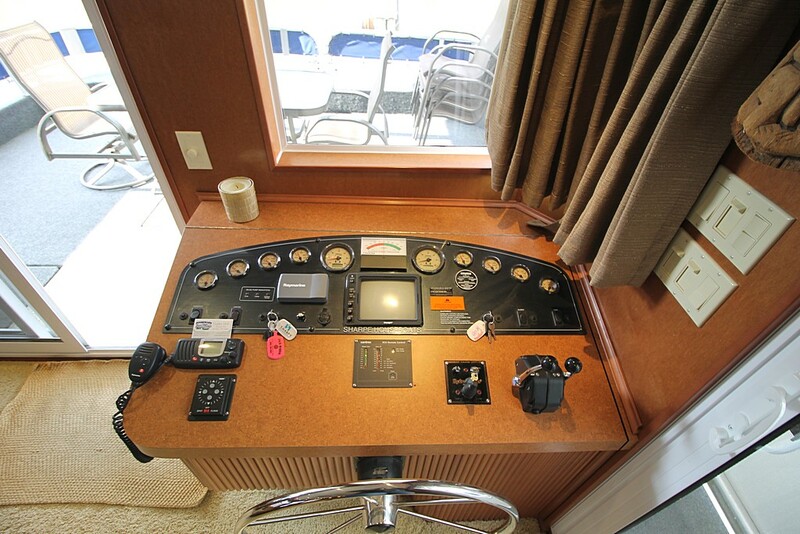 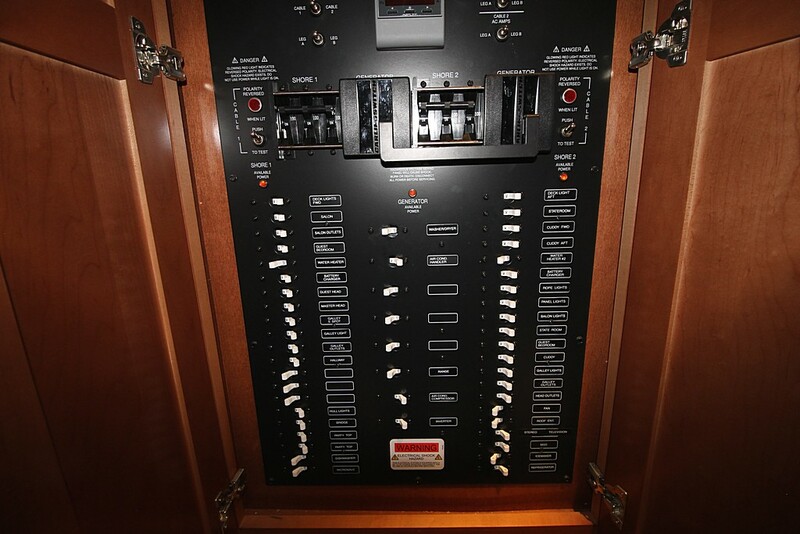 Battery Charger, Remote Spotlight, MMC Controls, Depth Finder, Rudder Indicator, VHF Marine Radio, CO Detector, Rear Camera, Halon System, Am/Fm Stereo, CD Player, DVD Player, Blue Ray DVD Player, 4 TV’s. 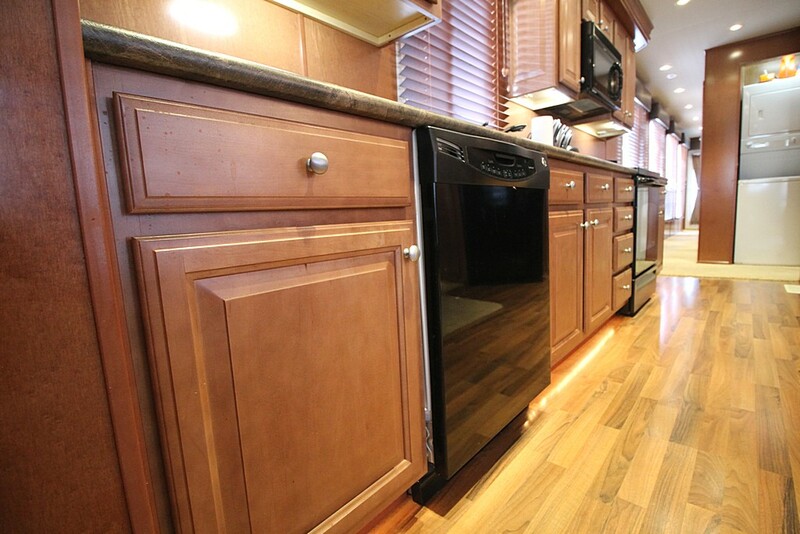 27″ Stacked Washer/Dryer, Walls/Doors/Window Insulation, 3 Ton Trane Central Heat & Air. 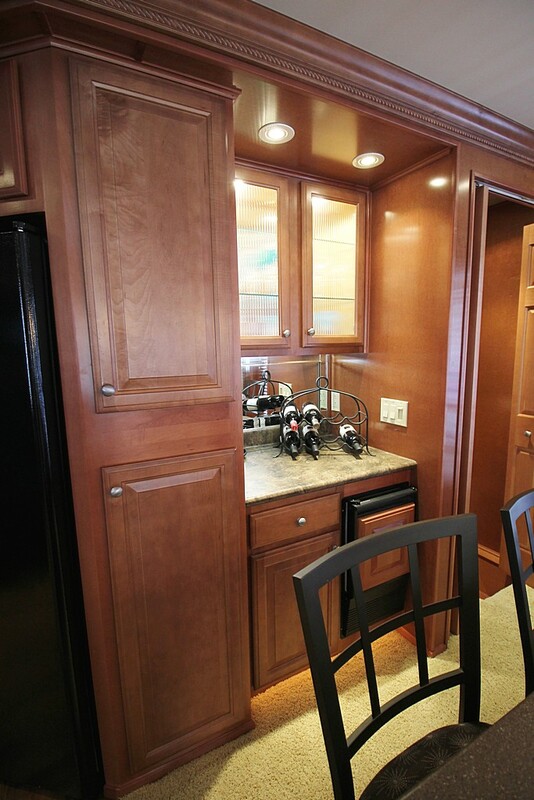 Dishwasher, Icemaker, Microwave, Smooth Top Electric Range, Side by Side & Ice/Water in Door Refrigerator. 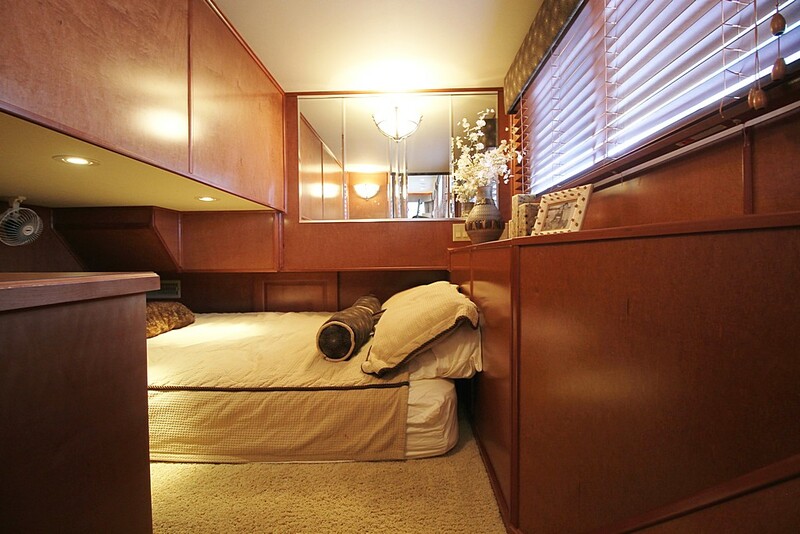 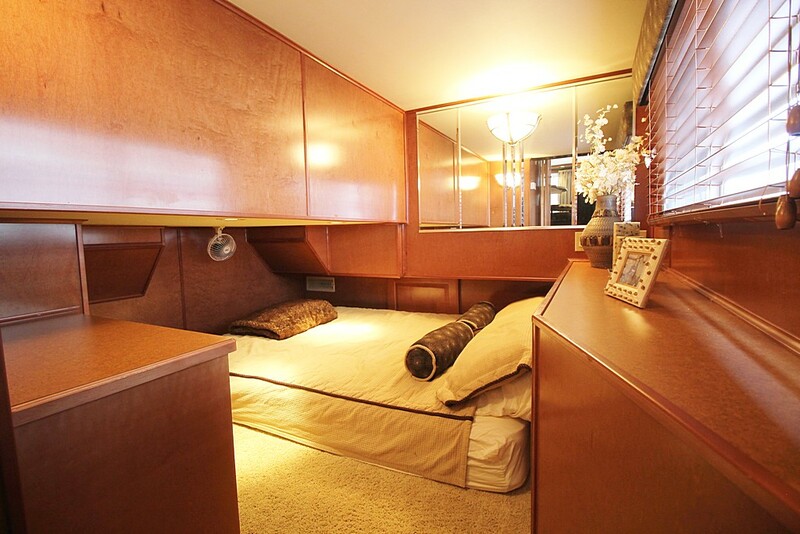 4 Bedrooms w/2 Queen Guest Bedrooms, Cuddy with 2 Twin Beds, & King Master. 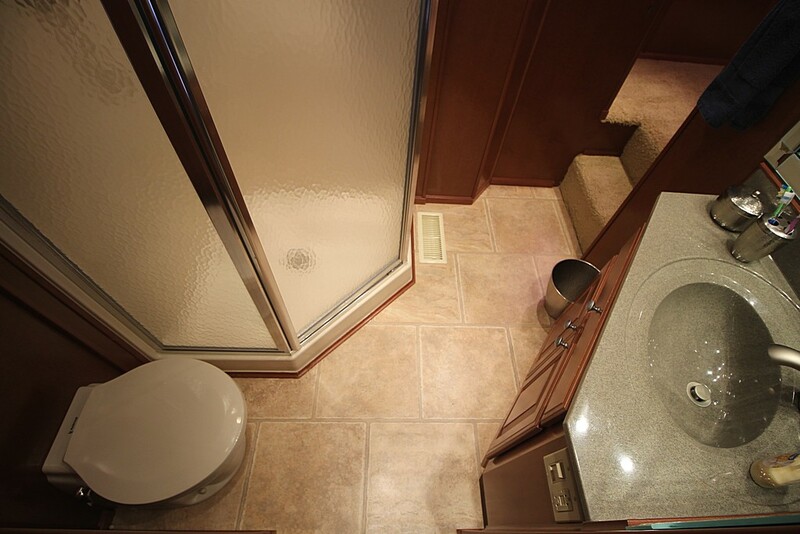 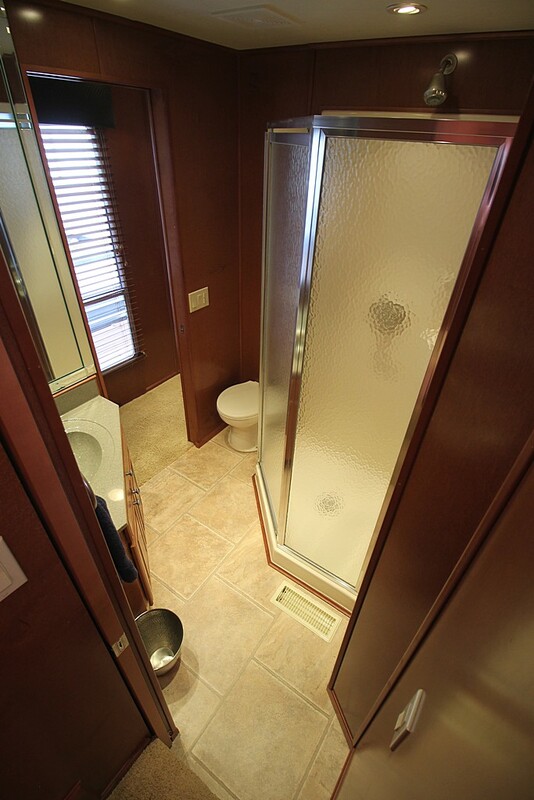 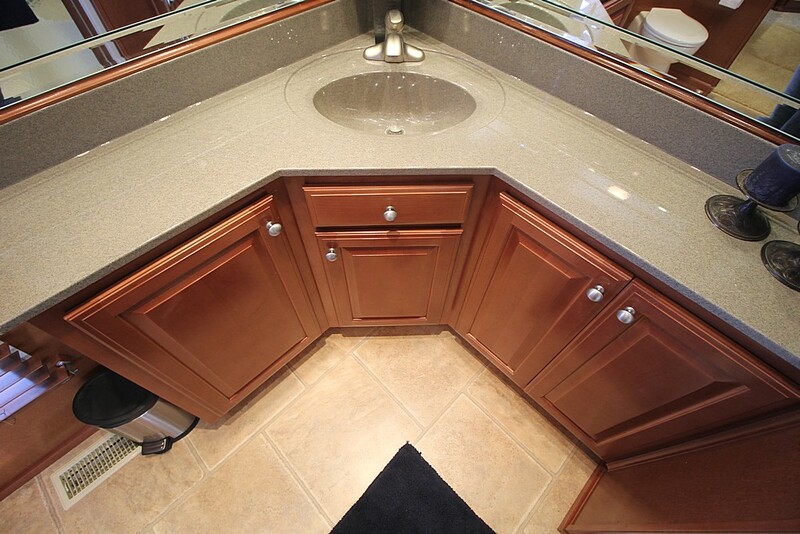 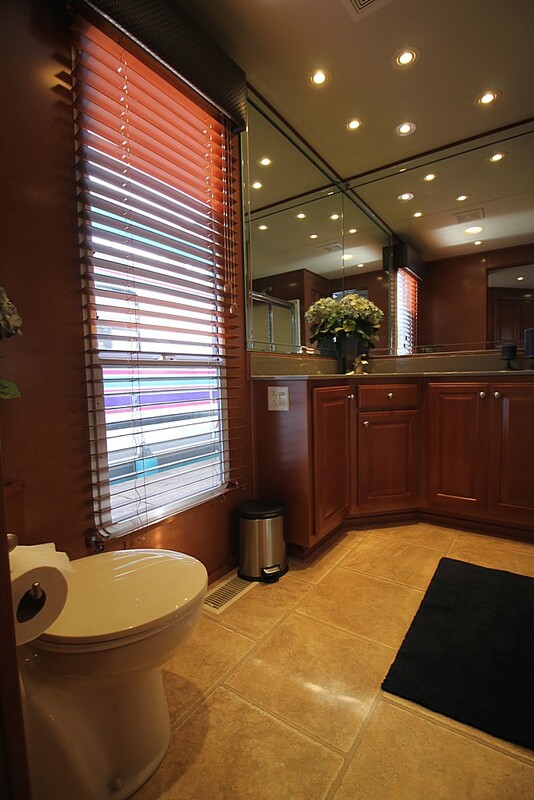 2 Full Bathrooms w/Type II MSD Waste Treatment System. 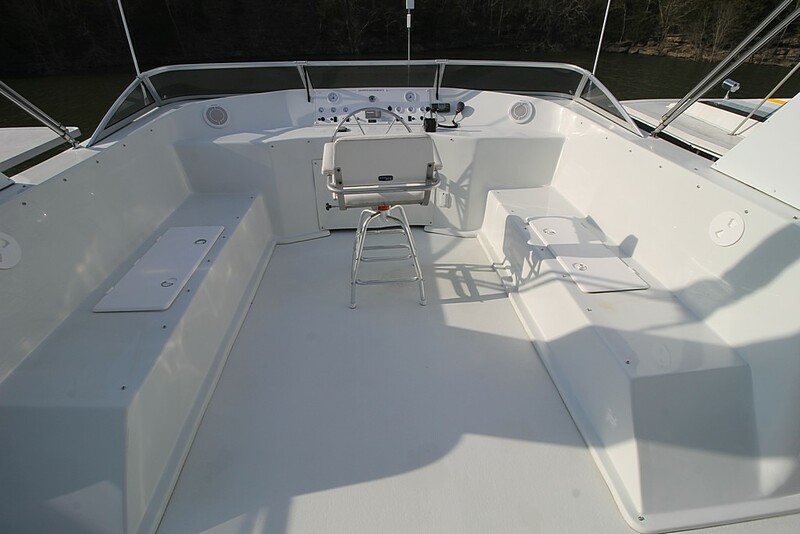 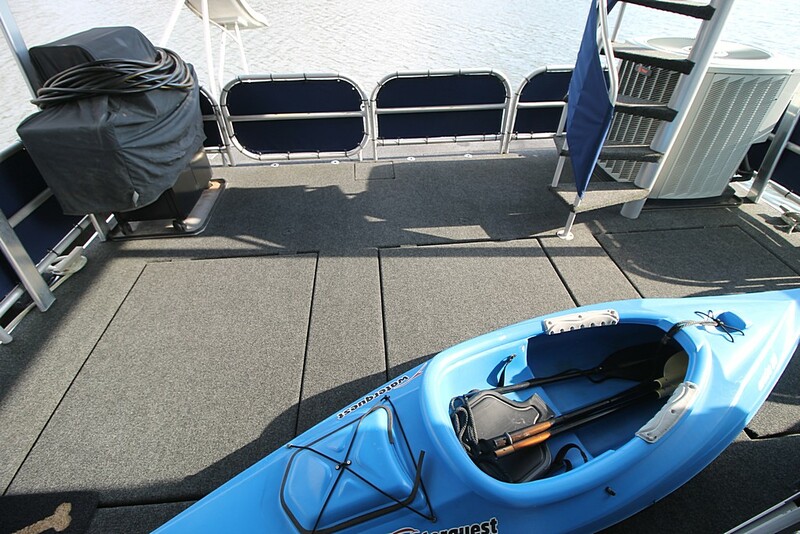 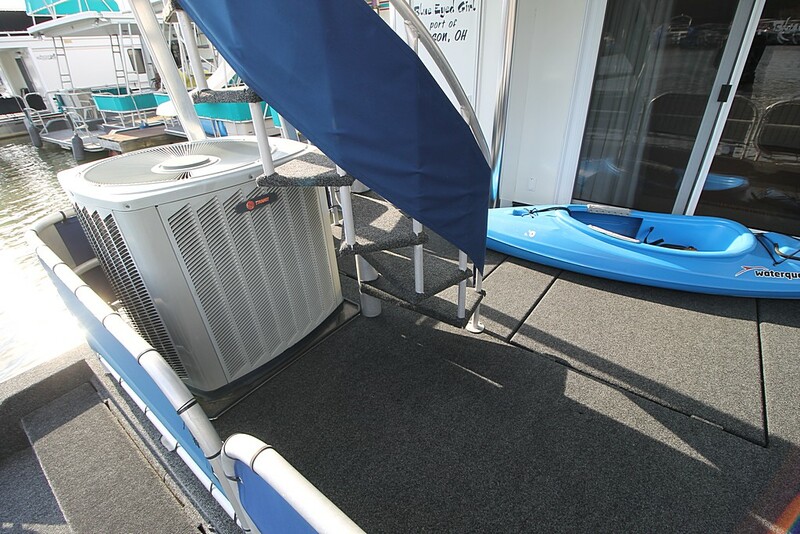 Swim Platform, Rail Canvas, 2-12V PWC Ramps, Toy Tank Pump, Original GelCoat, Front/Back/Party Top Rope Lights, Front Steps & Rear Spiral Stairs, 2-95 Gallon Fuel Tanks, 3-80 Gallon Fresh Water Tanks, 2-80 Gallon Holding Tanks, 2-20 Gallon Hot Water Heater, Dual 50 Amp Shore Power. 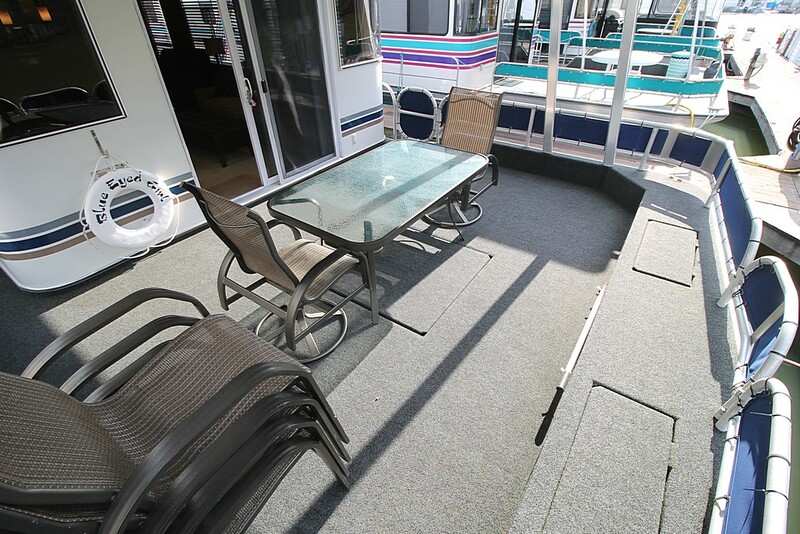 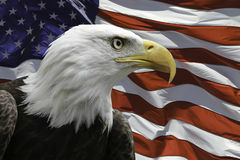 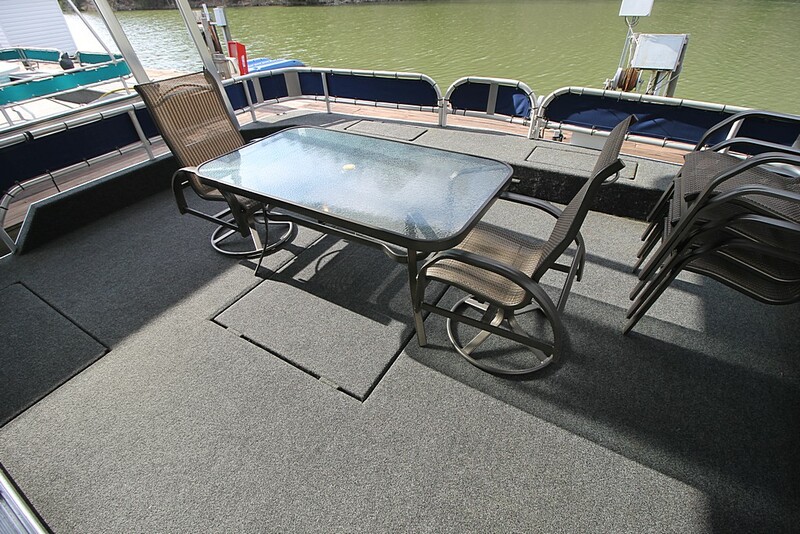 Front & Back Deck Furniture, All Interior & Top Deck Furniture. 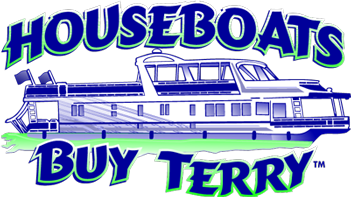 Small Kitchen Appliances, All Exterior Decorations, Linens, Bedspreads. 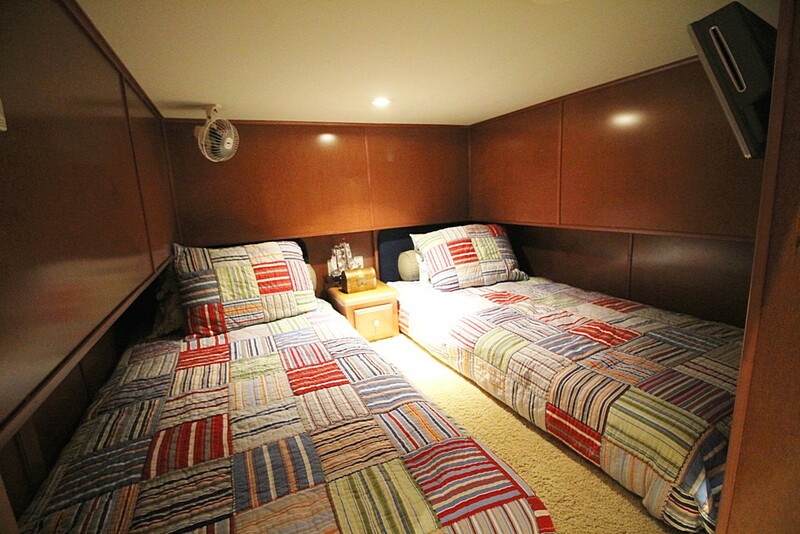 Dish Rags. 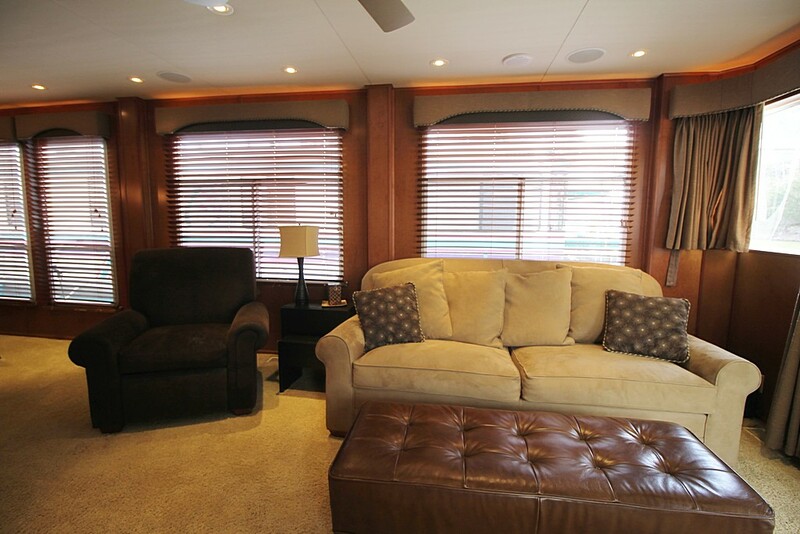 All TV’s, DVD Player, CD Player. 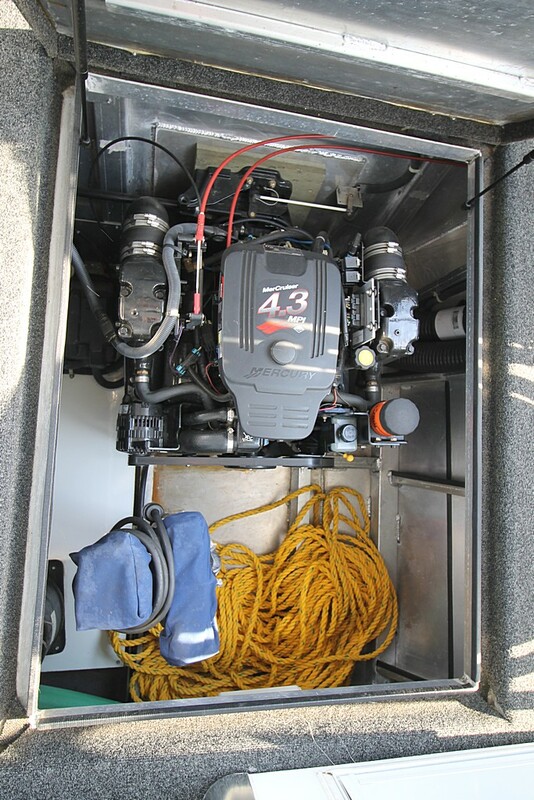 Buoys, Tie-Up Ropes, Fire Extinguisher, Life Jackets.